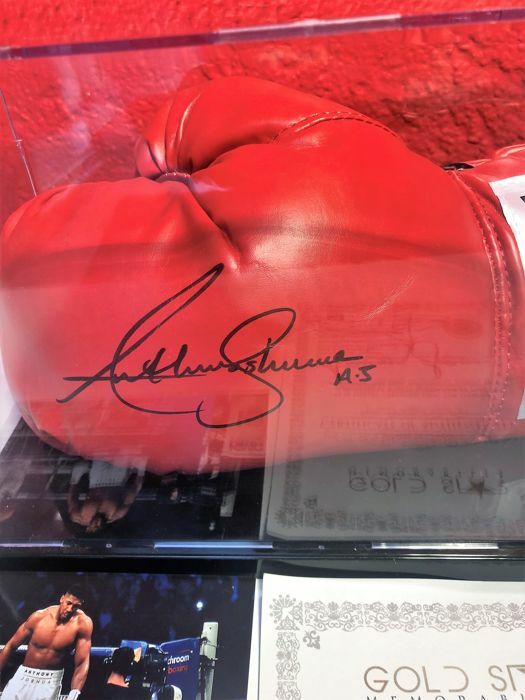 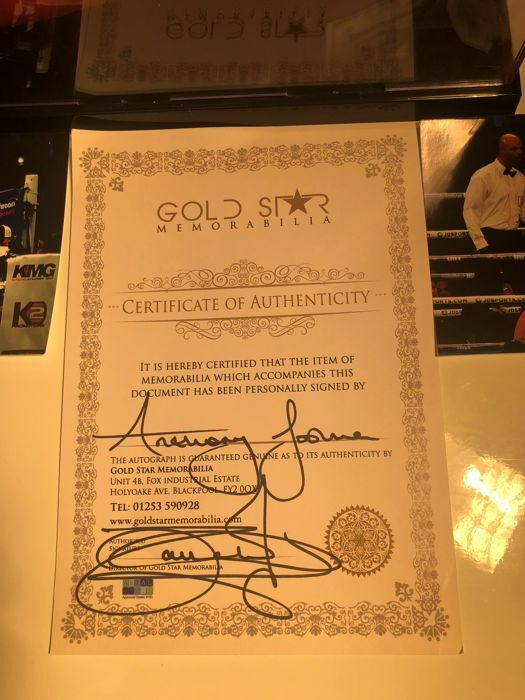 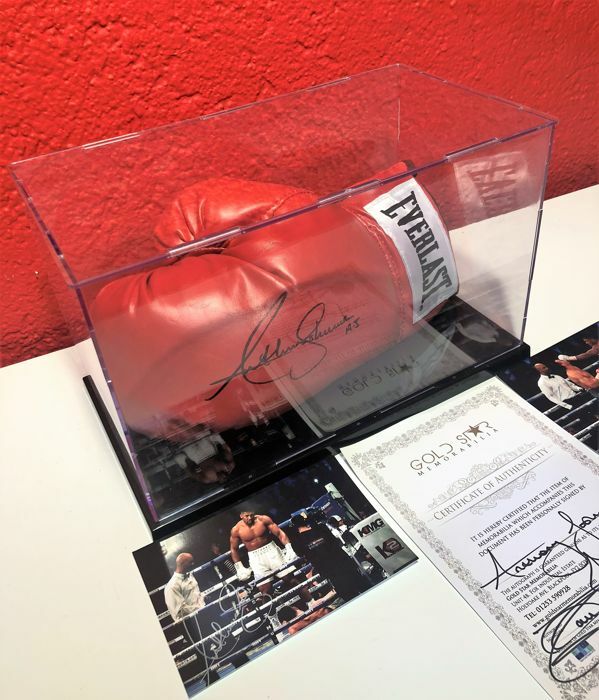 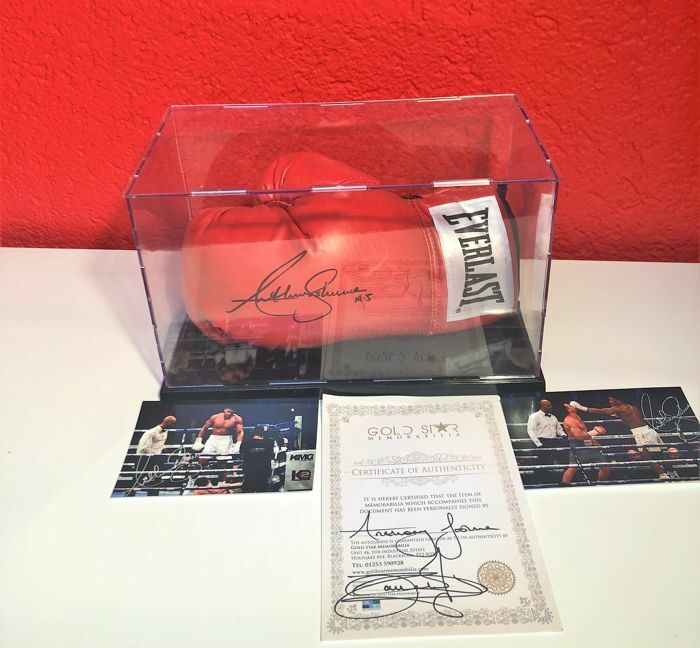 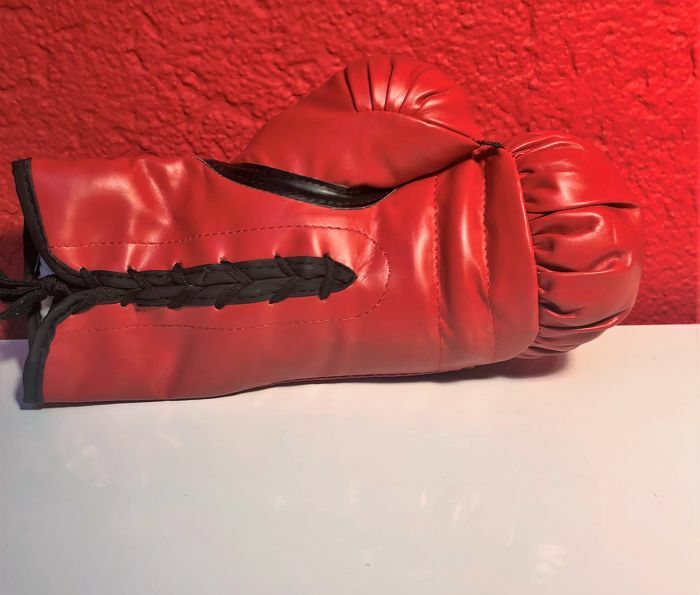 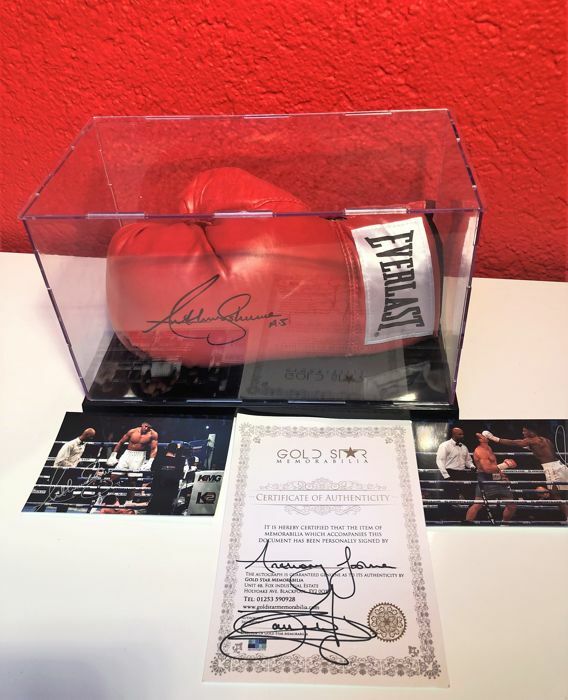 Great sport memorabilia from the IBF Heavyweight World Champion! 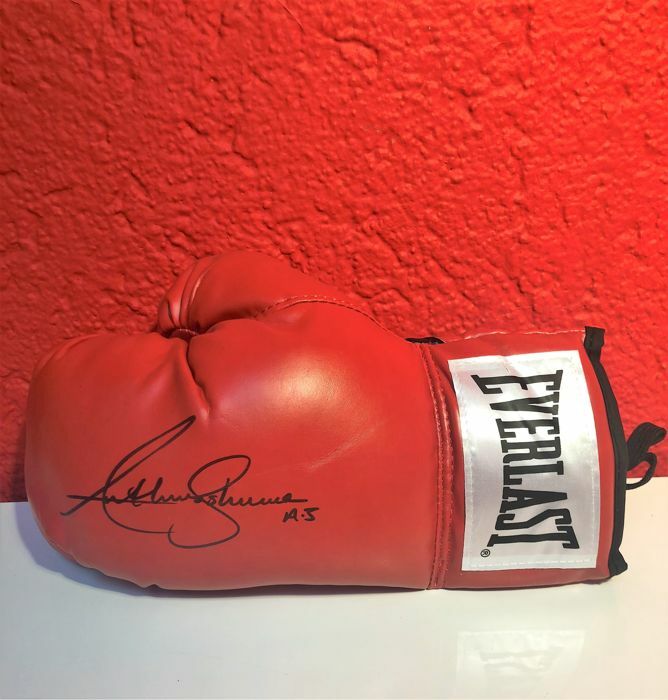 Anthony Oluwafemi Olaseni Joshua (Watford, October 15, 1989) is an English boxer. 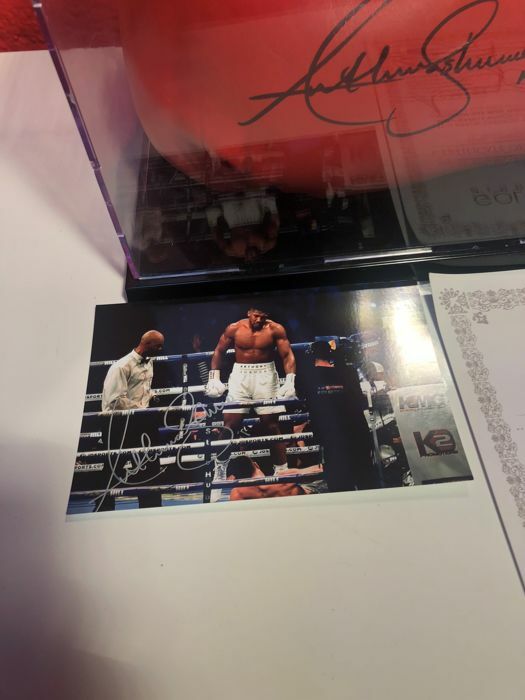 He is fighting in the heavyweight class. 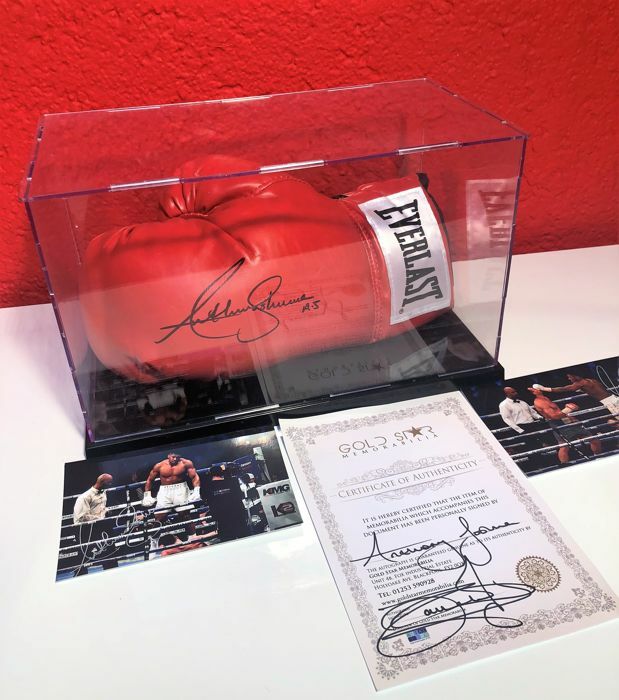 He became Olympic champion in 2012 and in 2016 he captured the IBF world title heavyweight at the O2-Arena in London. 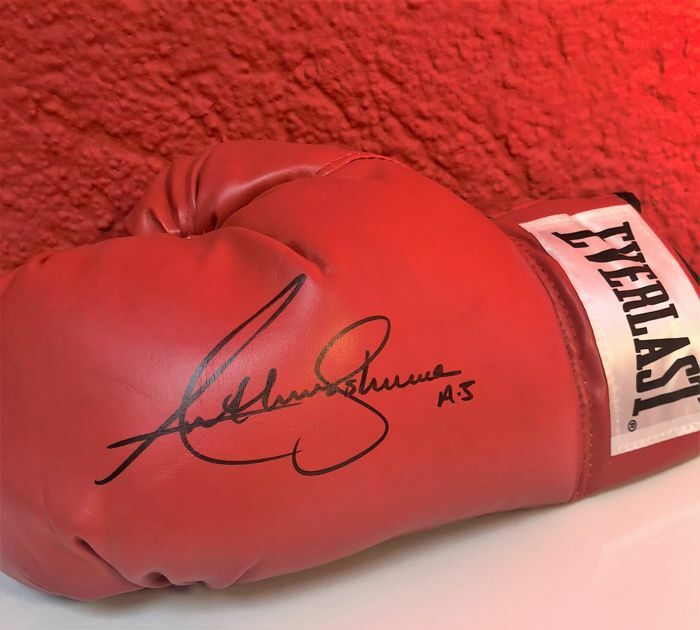 Absolute must-have for every sport fan! 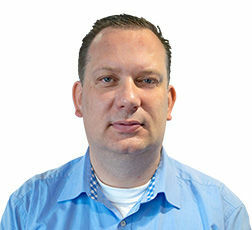 Pode levantar este lote em mão do vendedor: Beek (limburg), Holanda.